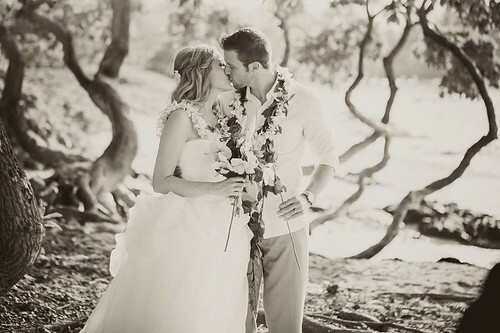 A Hawaiian elopement – saying “I do” with a side of aloha – was the perfect choice for us! 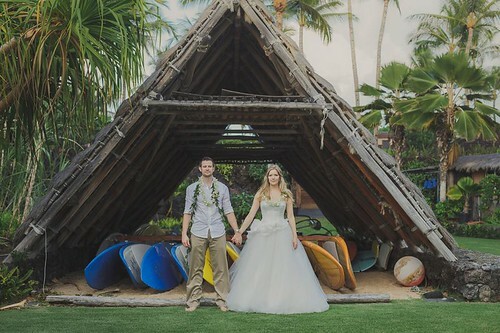 Whether a couple chooses to elope or host a more traditional wedding, a lot of planning is involved. 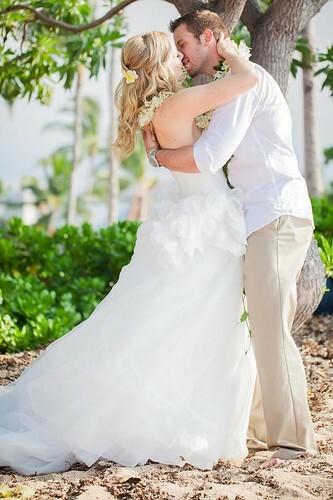 This is especially true for destination weddings with the catch being that most decisions need to be made on instinct. 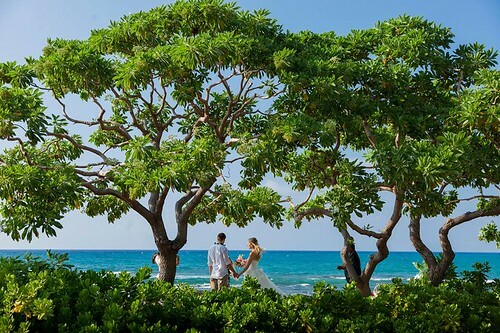 My husband and I didn’t have the luxury of scoping out the ceremony site for our Hawaiian elopement in advance, nor did we get to meet our officiant or photographer before we returned to the Big Island. 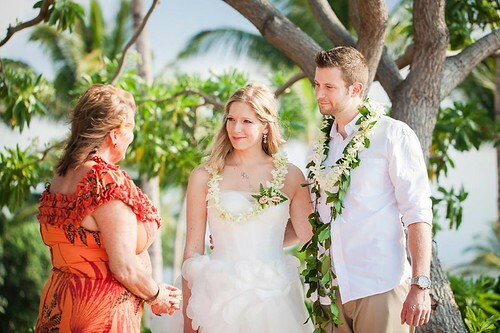 Our ceremony was conducted by Cheryl of Aloha Weddings, based on Hawaii Island. 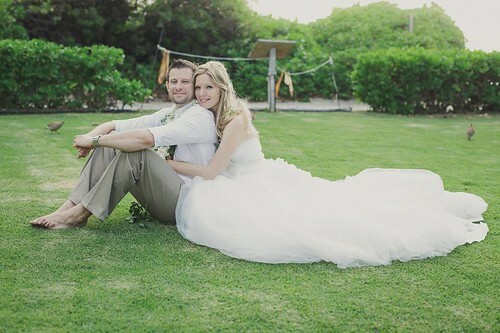 We got to know Cheryl quite well through email during the course of the year before our wedding, so by the time we met on the day before our ceremony, we all felt like great friends already. 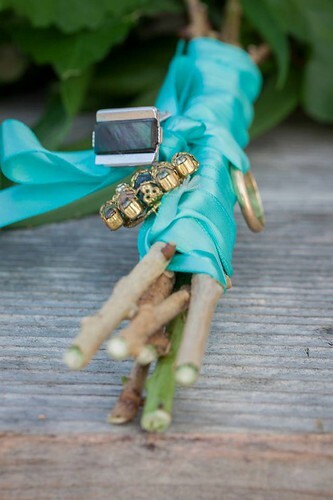 Her ceremony was deeply thoughtful, heartfelt and incorporated a lot of Hawaiian wedding traditions including starting the ceremony with a lei exchange. 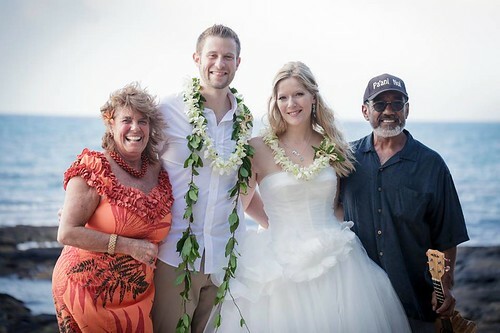 Cheryl’s husband, Pas, joined us and played the ukulele and sang for us before and after our ceremony. 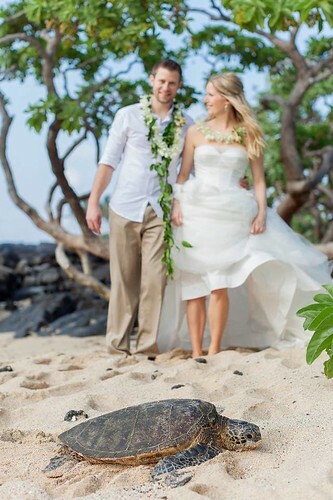 Five-inch heels won’t cut it in the sand. My (incredibly sweet) pair of $10 jelly shoes worked out just fine. I took a lot of time and effort in searching for the right photographer. 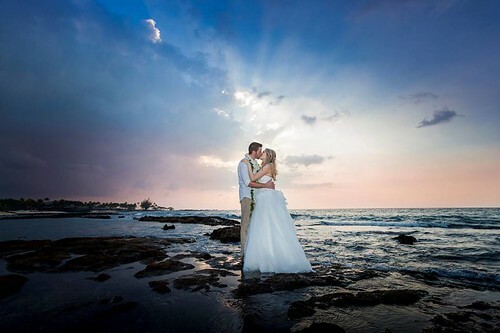 I felt really lucky to have stumbled upon Karen Loudon, a Canadian-born photographer now residing in Hawaii. 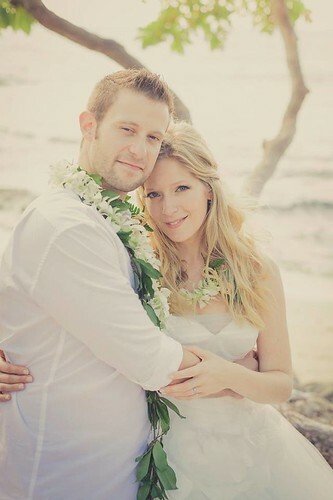 Karen’s photos instantly drew me in with their dreamy, vintage Hawaiiana quality. 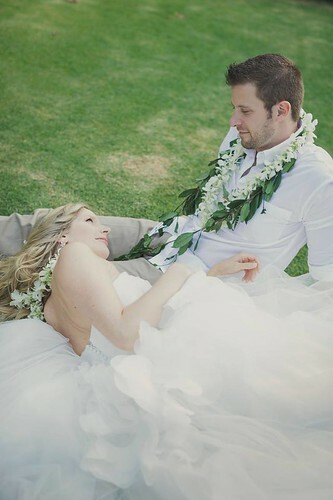 My advice to couples when planning a destination wedding or elopement is simply to trust your gut. 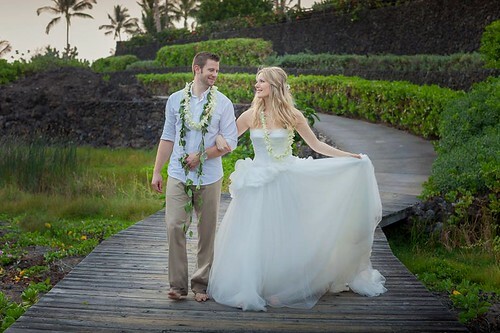 It takes a lot of faith to plan a wedding sight unseen. You can only hope that most things will go well and expect that a few hiccups may occur. 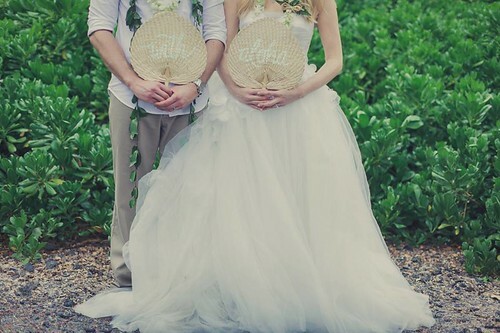 Always remember that, at the end of the day, it’s about the marriage and not the wedding. You look beautiful Keira-anne! And your venue was fantastic! I especially love the picture of your husband dipping you for a kiss at sunset! The colours are amazing! Looks like a great time. Nice pictures.